If you read my blog post on Friday you’ll know that I love the snow when it first arrives and transforms the garden into a landscape that is akin to Narnia. 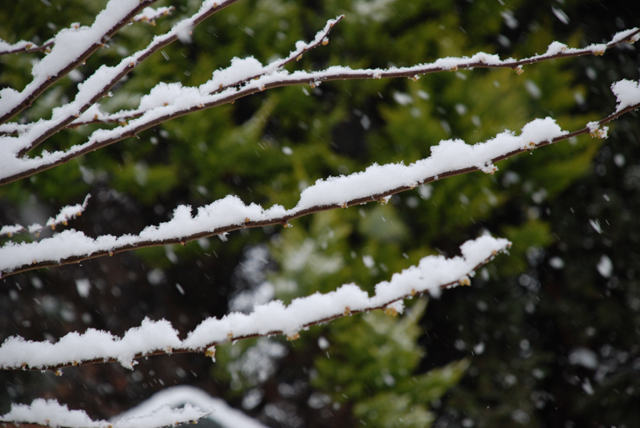 But, pretty as it may be, the snow can cause damage to your trees and shrubs. 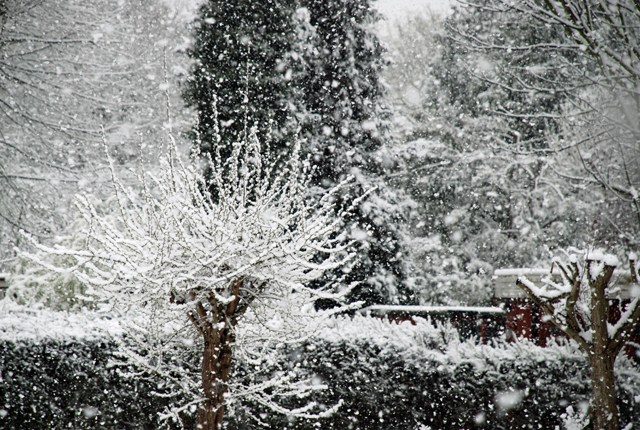 Snow actually helps to insulate the soil so it’s not the cold that you need to worry about. It’s the physical weight of the snow that will do the damage. 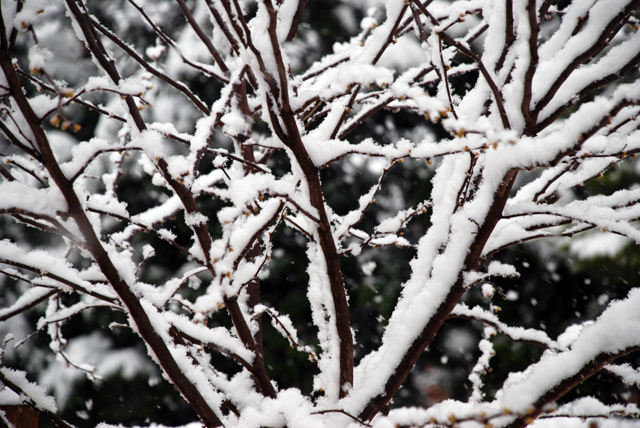 A heavy layer of snow can cause leaves and branches to break so it’s a really good idea to shake off any excess snow from the branches of your large trees, shrubs and hedges in order to prevent them from becoming disfigured by the weight of the snow. 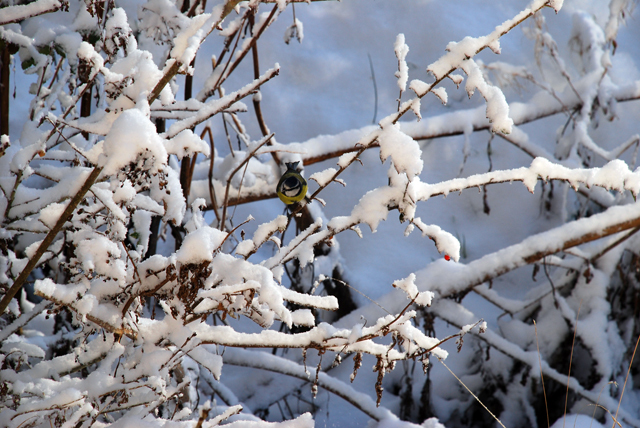 You should pay particular attention to conifers as prolonged periods with the weight of the snow on larger branches will create big gaps in the foliage that might not spring back when the snow has melted. In my garden it’s the bamboo that needs the attention as the stems almost bend to the ground when the weight of the snow takes hold. If we didn’t shake off the snow, they’d be likely to remain bent over and have to be removed. If you have a greenhouse or cold frame, it’s also a good idea to remove any heavy falls of snow off the roof. This will let in light and also prevent any damage from the weight of the snow. My last note of advice relates to your lawn and really this depends upon whether or not you have children. Ideally you want to avoid walking on the lawn if at all possible because it can leave unsightly marks when the snow has gone. But if snowmen must be built and snow ball fights have to take place, then the lawn should recover eventually, even if it looks a bit battered for a while.